After what seemed to be a relatively smooth beta test, Rovio has officially released the ad-supported full version of Angry Birds. Where does Angry Birds rank among casual Android games? Damn near the top and the amount of work you get done will suffer for it. That’s alright though, hunting Golden Eggs is better anyways. The graphics are cartoonish but aesthetically pleasing. There is thought to the graphic design: When you launch your bird out of the slingshot, there are small details like grass and shrubs that allow you to fine-tune exactly where you’re aiming your subsequent shots. In addition to the dotted flight paths the little kamikaze birds make, this can be very helpful in being a sharpshooter (except instead of a rifle you’ve got a giant slingshot and some irate birds). Giant slingshot from which you can fire birds, angry birds. 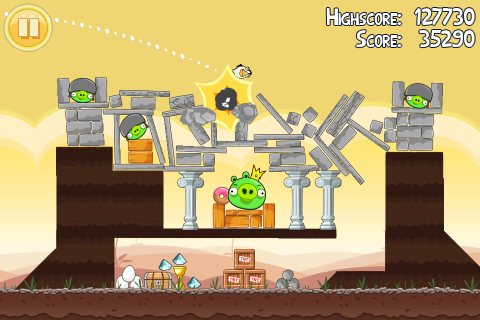 Birds have magical powers like birthing explosive eggs onto little green pigs! Catchy theme song I find myself whistling, much to the annoyance of friends, family, and coworkers. This game looks good for a casual game, but this game’s beauty is more than skin deep. Not once during play was there any sort of hang-up or glitch. The game barely eats up any battery at all despite hours of game play. The game is challenging: I found myself getting a little frustrated by some of the levels, but not in a throw-your-phone-at-the-developer-because-the-game-is-terrible sort of way. No, I was compelled to beat the levels and see what the next one would have to offer. 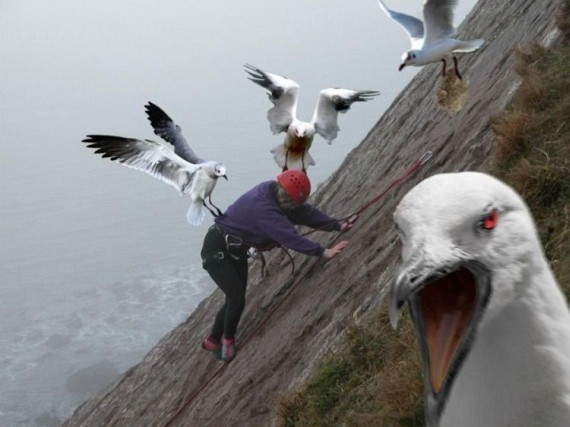 Okay, I lied, I have another gripe: I wish there were more birds with more abilities to increase the game play’s depth. We all knew this was coming. It would have taken a colossal act of stupidity to ruin this game between the beta test and the final release and Rovio is not stupid. 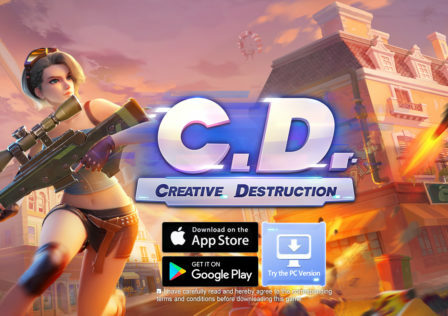 It’s a solid game. In fact, if our editors let us make up our own rating system I would rate this game an Awesome out of 10. You know what? I’m going to do it! What are they going to do? Fire me? I have just been informed that a crack squad of angry birds has been dispatched to persuade me into using the standard 1-5 scale. Yeah, that’ll persuade me. Real intimidating. Fine, you win this round editors, but was that really necessary?